Mission Statement: Our purpose is to cultivate in the largest possible number of our citizens an appreciation of both the responsibilities and the benefits which come to them because they are Americans………and are free. 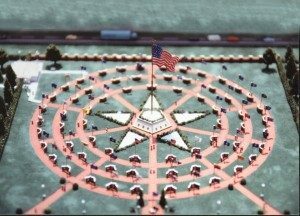 The Institution: It is the goal of Freedom Field Project to institute a long-range commitment to education central to its activities; which is to preserve and promote the great ideals embodied in the flags of the United States of America. These goals will require the museum to evaluate its programs, exhibits and management structures in order to establish new paradigms, allowing it to enrich the learning experiences presented by the museum. The museum will achieve a balance between its social and fiscal responsibilities. The Community and Surrounding Area: An effective learning environment will be developed and maintained along with an ongoing dialogue with the audiences for which the museum is intended. Freedom Field Project will establish partnerships with local school systems, universities, cultural organizations, social service organizations and other community based institutions. The goal of which will be to enable the museum to reach diverse audiences such as “at risk” elementary and secondary school students who have not developed an appreciation for who they are and the importance of their heritage. From a legislative standpoint, the foundation will assist in making an impact on educational reform with increasing recognition of the importance of “informal” education. Freedom Field Project will play a large part in the communities’ financial, economic and educational goals and activities. National Environment: Through exhibitions and programming, Freedom Field Project will serve as a forum for information and debate on major issues facing the national community; environmental protection, cross cultural understanding and cultural preservation. The facility will instill a feeling of repatriation to basic moral and ethical views as they relate to the causes of migration of people to the United States of America over the past several hundred years. 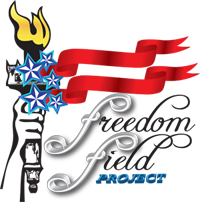 Freedom Field Project will be a historical bastion of truth regarding United States history; while at peace and in time of war. The Project will continually examine its role as an educational institution from both internal and external perspectives. The importance of flags as symbolic testaments reflects the diversity each state has in its heritage and cultural mix, each separate and distinct with its own identity; while at the same time, unified by a shared belief in freedoms and liberties represented by the flag of the United States of America.